2015 IGFA Conservation Award - President of the Republic of Palua, Tommy Remengesua Jr. 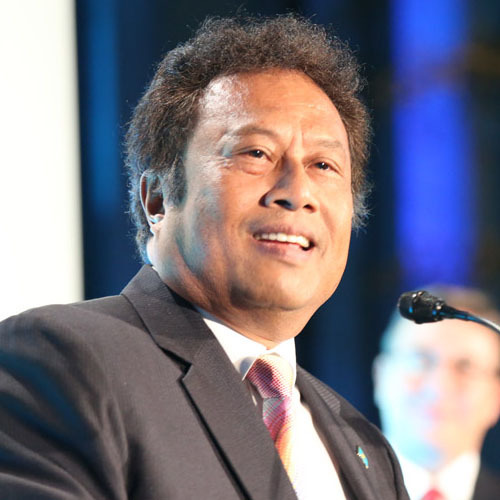 Honorable Tommy Remengesau (pronounced re-MEN-ge-say), Jr.--President of the Republic of Palau-- signed a law prohibiting commercial fishing within the island's 230,000 square miles of territorial waters. He promotes eco-tourism, diving and sport fishing in order to fuel his country’s economy -- instead of selling territorial fishing rights to foreign countries. As Remengesau stated, “Palau's economic potential lies in tourism, not tuna.” He hopes other island nations will follow his lead.